1. What are the names of the orphanages that have had their licenses revoked? 2. Are the revocations temporary or permanent? 3. Where are the children? 4. What steps are ASPs taking to assess the condition of the children and ensure their safety and well being? 5. What affect, if any, will there be on referred children in the adoption process? 6. Are any orphanage directors or personnel in police custody? 7. Have any criminal charges been lodged against orphanage directors and/or personnel? What reasons are being given for the revocations/closings? We have attempted to contact the Ethiopian authorities but have had no success. We are in continuous contact with the US Department of State, Office of Children’s Issues and the US Embassy in Addis Ababa, neither has been unable to confirm any further information or answer any questions concerning the revocations. From the information provided by DOS and the US Embassy in Addis, we assume that the Ethiopian government is not being prompt in notifying our government concerning the closures and the whereabouts of the children. This is similar to the situation during the previous closures in 2010. 1.What are the names of the orphanages that have had their licenses revoked? Between 8 and 48 orphanages have had or will soon have their licenses revoked. It may be possible for the orphanages to reapply or appeal the license revocation, but the process for this remains unclear. Children from Mussie have been transferred to Kingdom Vision International in Wolyita. According to CHSFS, the director of the Mussie orphanage is being held by police but no charges have been filed, another employee was briefly retained and then released without charges. 8. What reasons are being given for the revocations/closings? Responses will be updated as they come in from ASPs. Anyone with further information, please contact the US Department of State at AskCI@state.gov and PEAR at reform@pear-now.org. CARA recently released new guidelines for intercountry adoptions. Please visit CARA’s website at http://www.adoptionindia.nic.in/ for further information. CARA also recently announced a temporary freeze on the acceptance of new adoption dossiers as it attempts to clear a backlog of cases pending from before implementation of new guidelines governing intercountry adoptions in India. CARA foresees lifting the suspension by approximately the end of September 2011 and will advise when they are ready to accept new dossiers. We will update the notice promptly. Applications that are already in process prior to the effective date of the new guidelines will proceed as normal. Please note that the new guidelines direct that after September 30, 2011, all dossiers must be forwarded to CARA. CARA will no longer accept any dossier through a RIPA. The Department of State has learned that several agencies are reporting to their clients the closure of Mussie Child Care Center in Hosana, Ethiopia due to a revocation of their license to operate by Ethiopian authorities. The Department is aware that rumors of several other orphanage closure are circulating through the adoption community. The Department is seeking confirmation from Ethiopian authorities regarding the revocation of Mussie’s license and subsequent closure. We ask prospective adoptive parents and agencies that are hearing news of specific closures to inform the Department. The Embassy in Addis Ababa is working to gain confirmation of orphanage closure rumors from the appropriate authorities. Please send any specific information regarding orphanage closures to AskCI@state.gov with the subject line "Ethiopia Orphanage Closures." On July 14, 2011, the presidential order which extends the State Department on Adoption’s (SDA’s) authority to process adoptions was published in Ukraine. We have been informed by the SDA that they have resumed processing adoption applications. As described in a previous alert, the SDA will have the authority to continue processing adoptions until the Ministry of Social policy is ready to take over as the new adoption authority in Ukraine. The Ministry does not yet know when they will be prepared to take over adoption processing. The SDA also informed the embassy that the new amendment to the Family Code is now in effect. This requires orphans to be registered on the central adoption registry for one year and to be at least five years old before they are eligible for intercountry adoption. The amendment exempts children with certain special needs, relative adoptions, and sibling adoptions. Please note that the Ukrainian government is in the process of updating the definition of special needs, a process which by law should be completed by October 11, 2011. We will continue to encourage the Ministry of Social Policy to protect adoptions where U.S. prospective adoptive parents have already been approved by the SDA to adopt a particular child. We will also be following new developments closely to understand how they will affect the families currently in process and will be posting relevant updates. The Department of Homeland Security and the Department of State announced today, July 13, 2011, that Secretary of State Hilary Clinton and Russian Foreign Minister Sergey Lavrov signed a bilateral adoptions agreement that will strengthen procedural safeguards in adoptions between our countries. This Agreement will provide additional safeguards to better protect the welfare and interests of children and all parties involved in intercountry adoptions. Under the Agreement, only adoption agencies authorized by the Russian Government will be able to operate in Russia and provide services in adoptions covered by the Agreement, except in the case of an adoption of a child by his or her relatives. This will largely eliminate independent adoptions from Russia and create a better defined framework for intercountry adoptions between the United States and Russia. The Agreement also includes provisions designed to improve post-adoption reporting and monitoring and to ensure that prospective adoptive parents receive more complete information about adoptive children’s social and medical histories and anticipated needs. The United States is committed to working with the Russian Federation on implementing the provisions laid forth in this Agreement as soon as it enters into force. USCIS and the Department of State will publish criteria, procedures, and clear guidance related to the Agreement on www.uscis.gov/adoption and http://adoption.state.gov prior to the Agreement’s entry into force. Q. What does the Agreement mean for the U.S. adoption program in Russia? A. This Agreement strengthens the protections in place for the children and families involved while preserving a robust adoption program between the two countries. It creates a framework for a system in which the family will receive more complete information on the child earlier in the process so that the prospective adoptive parents can receive targeted preparation and training before the adoption. The Agreement also improves post-placement follow-up to ensure that the adopted child and family receive the support they need so that they all can thrive. Q. Now that the Agreement has been signed, will there be any interruption in the processing of cases for U.S. families adopting from Russia? A. We do not anticipate any interruption in the processing of adoptions from Russia as we move to implement this Agreement or once it has been fully implemented. A. The Agreement will enter into force upon the exchange of notes from the U.S. and Russian governments. The exchange of notes will take place only after both sides have completed internal procedures necessary for entry into force, which for Russia means approval by its Duma and establishment of other internal procedures for implementing the Agreement. The U.S. Department of State and the U.S. Citizenship and Immigration Services (USCIS) will provide on their websites procedures and clear guidance related to the Agreement prior to its entry into force. Please monitor www.adoption.state.gov and www.uscis.gov/adoption for more information. Q. Can families continue to file Form I-600A, Application for Advance Processing of Orphan Petition, and Form I-600, Petition to Classify Orphan as an Immediate Relative, now that the Agreement has been signed? A. Yes. Pending entry into force of the Agreement prospective adoptive parents may continue to file Forms I-600A and Forms I-600 with USCIS under existing procedures, in accordance with the form instructions. USCIS will inform the public of the date that the Agreement will enter into force and what additional or different steps may become necessary at that time. Q. If a family began adoption proceedings before the Agreement enters in to force, will they have to restart proceedings upon Agreement execution? A. The Agreement specifically allows cases which have had their dossier already submitted to the Russian authorities to continue under the pre-Agreement system. Prospective adoptive parents who have not submitted dossiers upon Agreement execution may need to change adoption service providers, as not all providers will remain authorized. However, families will not be required to file a new Form I-600A if their Form I-600A was filed or approved while working with the previous adoption service provider and remains valid. Q. If a family is working with an adoption agency that does not receive authorization to continue working in Russia after the Agreement enters into force, will they be able to complete their case? A. Yes, but the family may have to transfer the case to a new adoption service provider that is authorized to work in Russia. If a case is covered by the transition provision, it may be completed under the pre-Agreement procedures. Q. How will we know which cases may proceed under the pre-Agreement procedures and which cases must follow the new procedures? A. Once the Agreement enters into force, USCIS will coordinate with the Department of State (DOS) and the Russian authorities to identify all cases that can be processed under the pre-Agreement procedures and we will provide additional guidance at that time. Q. When will guidelines and instructions about the new procedures be available? A. We anticipate that the United States and Russia will need additional time to discuss implementation procedures for the Agreement once the Russian Duma has ratified it. After ratification and completion of implementation discussions, USCIS and DOS will publish specific guidance. Q. We understand that under the Agreement, the Russian Government may institute a “pre-approval” requirement for U.S. families adopting from Russia. Would this procedure lengthen the processing time? A. Although we do not anticipate that a pre-approval step will lengthen the process significantly for most cases, there are two instances in which delays could occur: 1) If there is a delay in the receipt of the detailed medical and psycho-social history of the child from the Russian authorities, or 2) If USCIS finds, during the pre-approval review, that the family does not appear to be prepared and/or has not been evaluated by the home study preparer as capable of meeting the needs of the specific child they intend to adopt. Q. Why is a pre-approval process helpful? A. Under the current system, USCIS cannot review information about the child being adopted until after the parents have completed adoption proceedings in Russia and become legally responsible for the child. Many times prospective adoptive parents only receive full medical and psycho-social information about the child immediately before the court proceedings to complete the adoption. Parents then have a very brief time to decide whether to complete the adoption or obtain an amended home study and Form I-600A approval, if necessary. Pre-approval will allow USCIS to make a preliminary determination on a child’s orphan status and to flag any concerns before the adoption takes place. Q. Would pre-approval guarantee that the Form I-600 will be approved once the adoption is finalized in Russia? A. Pre-approval cannot be taken as a guarantee of final approval, because it is always possible that new, additional information will come to light that ultimately prevents the approval of the Form I-600 petition. However, in other countries where pre-approval systems have been in place, experience shows that pre-approval allows for problems to be addressed earlier in the adoption process creating a more streamlined process for the family. Q. The Agreement will require to adoption agencies to report when an adopted child received U.S. citizenship. How will the adoption agency know that the child has received U.S. citizenship? A. The Agreement is crafted to cover only adoptions of children who will ultimately be granted IR-3 immigrant visas. When a child with an IR-3 immigrant visa lawfully enters the United States with his or her adoptive parents with the intent to reside permanently in the territory of the United States, that child, by operation of law, acquires U.S. citizenship upon entry. For additional questions and answers on the agreement, please visit http://adoption.state.gov . The Department of State (DOS) Office of Children’s Issues Adoption Division and USCIS International Operations Division invite you to participate in a teleconference on the bilateral adoption agreement between the United States and Russia on Thursday, July 14, 2011 at 1:00PM (EDT). DOS and USCIS will discuss the agreement’s current status and significance and give a preview of implementation planning. Please RSVP via email to Aleksey Sanchez at SanchezA@state.gov by COB on July 12, 2011. We would be happy to respond to any questions about the Agreement or intercountry adoptions that are emailed to Sarah Shaffer, ShafferSF@state.gov by NOON on Tuesday, July 12, 2011. Each year, thousands of children find loving, nurturing homes through intercountry adoptions, and thousands of American families are enriched by welcoming Russian orphans into their homes. In light of concerns raised by several tragic cases, in April 2010, the U.S. and Russian governments began negotiating the Agreement between the United States of America and the Russian Federation Regarding Cooperation in Adoption of Children to strengthen procedural safeguards in adoptions between the United States and Russia. The Agreement was signed on July 13, 2011, by U.S. Secretary of State Hillary Clinton and Russian Foreign Minister Sergey Lavrov in Washington, D.C. The Agreement will enter into force upon the exchange of diplomatic notes from the U.S. and Russian governments. The exchange of notes will take place only after both sides have completed internal procedures necessary for entry into force, which for Russia means approval by its Duma and establishment of other internal procedures for implementing the Agreement. The U.S. Department of State and U.S. Citizenship and Immigration Services (USCIS) will provide on their websites procedures and clear guidance related to the Agreement prior to its entry into force. Please monitor www.adoption.state.gov and www.uscis.gov for more information. States and Russia negotiated the Agreement, which incorporates several elements of The Hague Convention. Q: What are the key provisions of the Agreement? The Agreement provides a framework for intercountry adoptions between Russia and the United States and is designed to be reciprocal. The Agreement aims to improve the intercountry adoption process and better protect adoptive children, birth parents, and adoptive parents. Under the Agreement, Russia may authorize adoption agencies to operate in Russia and only those “authorized organizations” may provide services in adoptions covered by the Agreement, except in the case of an adoption of a child by his or her relatives. This will eliminate independent adoptions of children from Russia by U.S. families, except in situations where a child is being adopted by a relative. The Agreement includes provisions designed to enhance the prospective adoptive parents’ preparation to adopt, to ensure that prospective adoptive parents receive more complete information about adoptive children’s social and medical histories and anticipated needs, and to improve post-adoption reporting and monitoring. Prospective adoptive parents should also be aware that the Agreement only covers adoptions where both spouses, or the individual (if unmarried), have seen and observed the child in person prior to adoption and personally participated in the decision-making procedures by the court issuing the adoption decree. Classify Orphan as an Immediate Relative) by USCIS. Information on how to adopt from Russia is available on www.adoption.state.gov. Q: What will change as a result of this Agreement? Russia will no longer permit independent adoptions (i.e., adoptions where the prospective adoptive parents elect to act on their own behalf without facilitation by an adoption agency), unless a child is being adopted by a relative. Once the Agreement enters into force, non-relative adoptions from Russia must take place with the facilitation of an authorized organization. Relatives are defined in accordance with Russian law. U.S. prospective adoptive parents may be required to obtain additional special training in light of their particular matched child’s special needs. The new procedures called for by the Agreement will help ensure that prospective adoptive parents receive all available information on the child’s social and medical history, possible special needs, and availability for intercountry adoption before the adoption takes place. The authorized organizations should also provide prospective adoptive parents with information on how to register their adopted children with the Russian Embassy or local consulate in the United States and other post-placement reporting required by Russian law. Prospective adoptive parents will be expected to register their adopted children as soon as possible after bringing them to the United States and to work with their adoption agencies to comply with the post-placement reporting requirements. determination in light of the child’s particular needs. Before issuing pre-approval, USCIS will work with the adoption agencies and the prospective adoptive families in an effort to ensure that the family is fully aware of the child’s situation and has completed appropriate training and preparation. Q: How will the Agreement affect U.S. adoption agencies’ ability to work in Russia? This Agreement will add no additional authorization requirements under U.S. domestic law. However, under the Agreement, only adoption agencies that are specifically authorized by Russia will be permitted to provide services in adoptions to or from Russia. The Department has agreed to provide the Russian Ministry of Education with the list of U.S. adoption service providers accredited or approved in the United States to provide services under The Hague Convention. The Ministry may, at its discretion, decide to grant requests for authorization only to U.S. adoption service providers who have obtained such accreditation or approval, and may not necessarily authorize all of the organizations on the list provided. Adoption agencies must apply to the Russian Ministry of Education and meet the criteria established by Russia to be authorized to operate in Russia. The U.S. Department of State will publish the specific authorization criteria on www.adoption.state.gov once they become available. Adoption service providers will have 60 days following the Agreement’s entry into force to submit the required information in order to continue to provide services in adoptions from Russia. The Ministry must make a decision about an adoption service provider’s continued authorization in Russia within 30 days of receiving the required information. Adoption service providers seeking authorization to operate in Russia for the first time will be able to submit an application at any point after the Agreement’s entry into force. The Ministry must make a decision about the new provider’s authorization request within 60 days of receiving the application. Agreement within the required 60-day timeframe after the Agreement’s entry into force will be allowed to apply for re-authorization after one year. Q: Does the Agreement impose any new or more stringent responsibilities on adoption agencies?  To inform prospective adoptive parents of Russia’s adoption procedures and post-adoption reporting requirements. If the authorized organization assists with a subsequent dissolution and/or placement of a child with another family, the authorized organization must also inform the new prospective adoptive parents of the Russian procedures and post-adoption reporting requirements.  To monitor the living conditions and upbringing of adopted children as instructed by Russia. The monitoring would have to be carried out at the family’s home by the authorized organization’s social worker, or by another social worker or organization licensed to evaluate the home.  To provide periodic reports following an intercountry adoption to the Russian authorities. The reports would have to contain reliable information about the child’s psychological and physical development and adaptation to his/her new life.  To confirm an adopted child’s lawful entry into the United States and the child’s acquisition of U.S. citizenship. provided services (even cases facilitated before the Agreement entered into force) is pending dissolution or has dissolved. The notification may need to include information on any proposed placement or new adoptive family, the expected (or completed) timeframe for the U.S. court’s decision (or any decisions reached by the U.S. court). At the same time, for cases still pending a court decision, the authorized organization may be required to request the consent or non-consent of the Russian authorities to the proposed re-adoption, and if a statement is provided by the Russian authorities before the re-adoption decision is made by the court, present the Russian consent or non-consent information to the court for its consideration.  To notify the Russian authorities and transfer any pending cases or post- adoption reporting responsibilities to another authorized organization in the event that an authorized organization chooses to cease operating in Russia. Prospective adoptive parent(s) initiating an adoption prior to the Agreement’s entry into force will be able to complete the process under the current (pre-Agreement) procedures. Cases will be considered initiated if the prospective adoptive parents have registered their documents to adopt in Russia prior to entry into force. The Agreement does not apply retroactively. Under the Agreement, Russia may impose requirements on adoption agencies regarding the disruption or dissolution of an adoption that took place prior to entry into force of the Agreement. For example, an authorized organization may be required to report a disruption or dissolution as soon as reasonably possible after it discovers that a case may, or has, been terminated, regardless of when the intercountry adoption was completed. The Department of State and the Department of Homeland Security announced today, July 13, 2011, that Secretary of State Hillary Rodham Clinton and Russian Foreign Minister Sergey Lavrov signed a bilateral adoptions agreement that will strengthen procedural safeguards in adoptions between our countries. The Department of State will publish criteria, procedures, and clear guidance related to the Agreement on adoption.state.gov prior to the Agreement’s entry into force. For additional FAQs on the agreement, please visit adoption.state.gov. The Department of State, Office of Children's Issues will be holding a stakeholders meeting July 14 to fill in adoption agencies and organizations involved in adoption on the new agreement and any changes that will be instituted for adoptions from Russia. 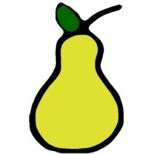 PEAR will be updating our blog as information becomes available today and during tomorrow's stakeholder meeting. On July 8, 2011, the president of Ukraine signed an order which extends the State Department on Adoption’s (SDA's) authority to process adoptions. We have been informed by the SDA that the order will not take effect until the order is published, likely within a few days. The SDA currently is not accepting adoption applications. According to the order, the SDA will have the authority to continue processing adoptions until the Ministry of Social policy is ready to take over as the new adoption authority in Ukraine. The Ministry does not yet know when they will be prepared to take over adoption processing. We will continue to ask the Ukrainian government to resume adoptions as quickly as possible. We will also continue to encourage the Ministry of Social Policy to protect adoptions where U.S. prospective adoptive parents have already been approved by the SDA to adopt a particular child. Notice: What does Ukraine require of the adoptive parents after the adoption? Ukraine requires adoptive parents to supply information about the adopted child's living conditions and educational progress to the Ukrainian consular office annually during the first three years following the adoption and once every three years thereafter, until the child's 18th birthday. Note: Under Ukrainian law, an adopted child remains a citizen until he/she turns 18 years old. At that time, he/she can decide whether or not to remain a Ukrainian citizen. We strongly urge you to comply with the wish of Ukraine and complete all post-adoption requirements in a timely manner. Your adoption agency may be able to help you with this process. Your cooperation will contribute to Ukraine's history of positive experiences with American parents.